Sometimes you have to take the things around you and turn them into inspiration. 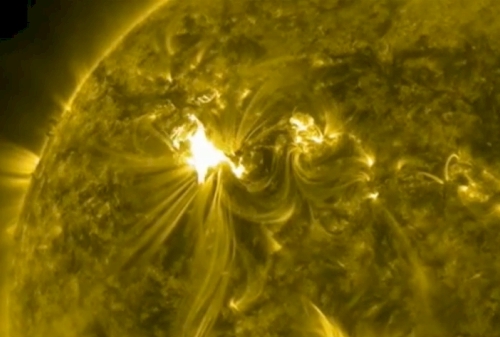 In the news recently they have talked a lot about the dangerous solar flares that are coming from the sun and threatening to destroy the earths power grid and satellite communications. Inspiring right?! 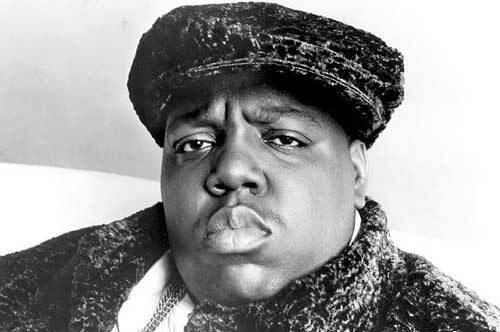 So, as I ponder how I will ever make delicious baked treats without my stove, oven, microwave… and so on and so on… I continue reading the next story which is about the 15th anniversary of the death of the Notorious B.I.G., aka Biggy Smalls, an American rap artist who hailed from Brooklyn N.Y., and was shot to death after leaving a night club, again inspiring right?! 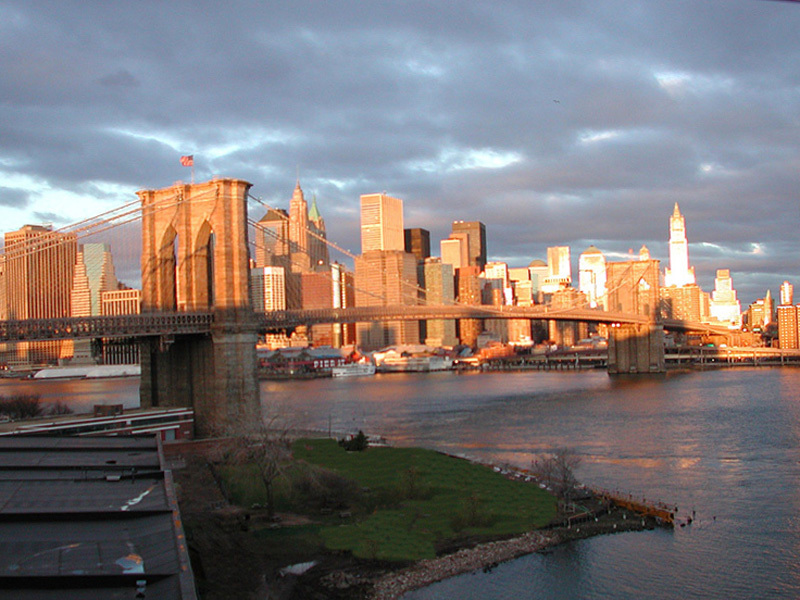 As it turns out, Brooklyn is known for being the largest of the 5 New York Burroughs with a population of around 2.5 million. It was first settled by Dutch immigrants in the 1630’s who named it after a providence in the Netherlands calling it Breuckelen. Brooklyn today is an ethnic and cultural melting pot, full of proud traditions, and hospitable establishments like the Lady Bird bakery, Baked, Juniors, and Betty Bakery. The Lady Bird bakery is known for it’s fabulous specialty cakes, like the Almond Princess, Chocolate Angel Food Cake, Chocolate Raspberry Truffle, and their most famous Brooklyn Blackout Cake (fitting for solar flares I’m sure!) 😉 The Brooklyn Blackout Cake consists of three layers of rich dark chocolate cake, perfectly complimented by a silky smooth chocolate pudding filling, and a fabulous chocolate fudge frosting. Mmmm makes me hungry! So, for Biggy Smalls and blackouts I present to you my version of a “Brooklyn Blackout Cake”! Enjoy!! Pre-heat oven to 350 degrees, and greese and flour 2- 9inch cake pans and set aside. Yes, my version is only two layers. Stir together in a large bowl, sugar, cocoa, baking soda, baking powder, flour, and salt. Add the eggs, milk, oil and vanilla. stir well then slowly add the boiling water and blend together thoroughly, this batter is thin don’t worry I promise it will bake up to perfection. Bake in the preheated oven for 30- 35 minutes, remove and cool on a wire rack. Do not remove from the pan until completely cooled! Mix together until powder is well blended and then refrigerate for 20- 25 minutes. Mix all ingredients thoroughly and chill for about 15 minutes before using. Once your cakes are cooled, remove them from the cake pans, and trim them to level the tops. Reserve the trimmings. Place the bottom layer on your cake plate and then apply a thick layer of the pudding and then the second layer. Frost generously, and then take the reserved cake trimmings and run them through a food processor to make crumbs. Press the crumbs into the sides and top of the cake and ta-DA! 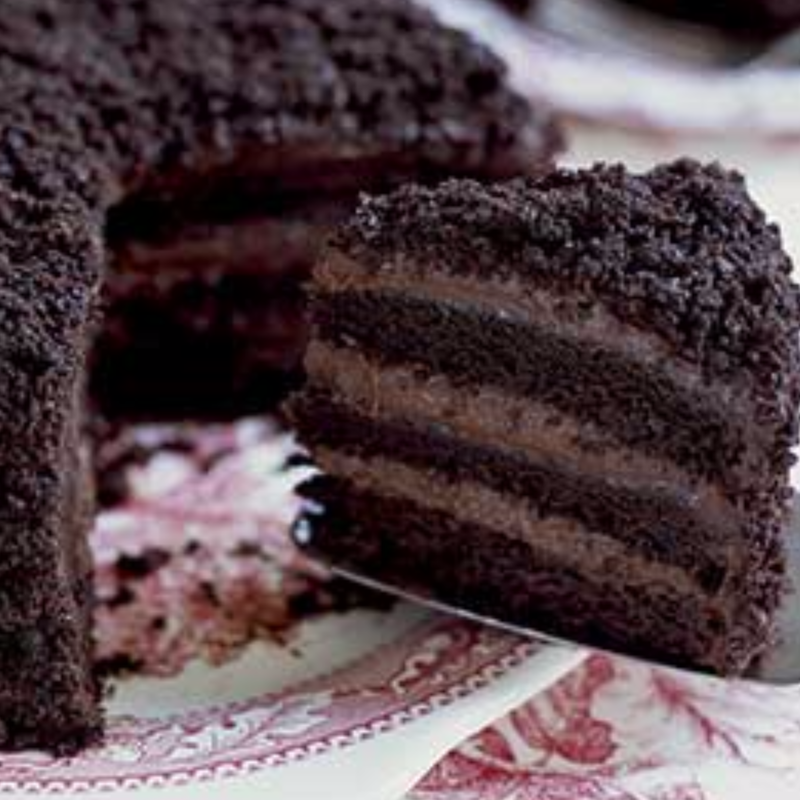 The perfect blackout cake! Previous Entry I LOVE Chocolate, there I said it! !